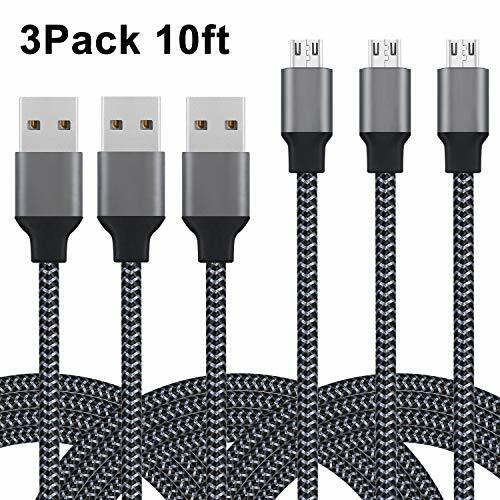 The micro USB cable is covered with extra sturdy nylon jacket, which prevents it from damage, tangles and kinks caused by over-charging and daily usage. The stainless steel connector heads slot in easily and steadily, and won't get loose or fall out from your devices as your normal micro cables. Micro USB Cable features reliable and high efficient, built with pure coppers, can provide a much faster charging and data transfer. Quality chipset keeps your phones safely at the same time. We stand by each customer and offer 24 hours customer service. We stand behind every product by offering 12-month warranty and great customer service. If you have any questions about this product by BattleCord, contact us by completing and submitting the form below. If you are looking for a specif part number, please include it with your message.